Author Andrea Codrington discusses the opening titles for Flubber, from her 2003 book Kyle Cooper: Monographics. 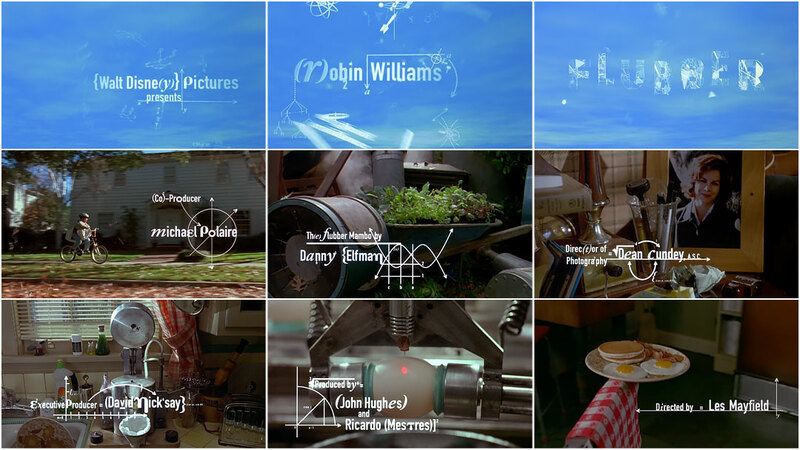 In the instance of Flubber, which which concerns an inventor who creates a rubbery substance that helps people to ﬂy, the names of the ﬁlm's cast and crew swirl around the screen in a playful way, forming credits that look like mathematical and chemical equations. 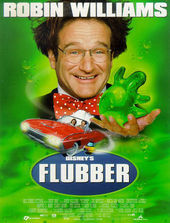 Chains of chemical bonds, twisting helixes and graphic notations bounce around like the brainstorms of some irrepressible inventor, their manic motion perhaps unwittingly replicating that of the ﬁlm’s notoriously hyper star, Robin Williams.